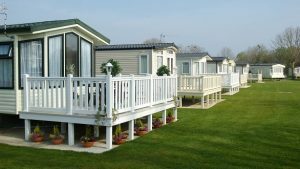 Freddie Mac has announced that it will start financing manufactured housing, which it hopes will help make homes more affordable to buyers. The mortgage financing giant says it will conduct a two-year pilot called CHOICEHome to grant conventional financing for manufactured homes with certain features, such as permanent and pitched roofs. Many of the manufactured homes also have energy-saving features, such as Energy Star Qualified Low-E windows, programmable thermostats, and minimum insulation values.